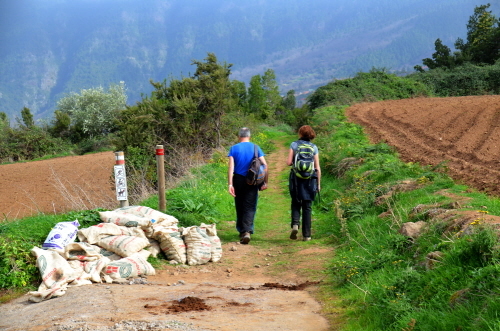 A few weeks ago I wrote about us working with specialist slow travel company Inntravel to create a new walking holiday in the south of Tenerife, To the Top of Spain. 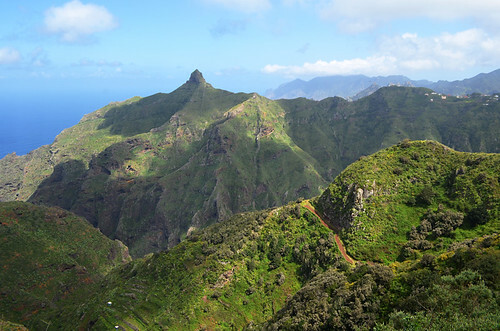 Anyone who knows Tenerife, and the sort of exceptional walking opportunities it has, might have been surprised that the routes and hotels were all in the south of the island and not the north where many of the most stunning trails are located. There was a good reason for this. We were working on a new walking and discovery holiday in the north as well. 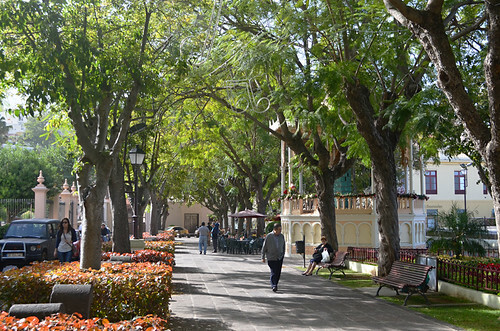 Tenerife is a big enough island with such a diversity of landscapes and traditional towns that it can easily take two slow travel holidays which don’t overlap. 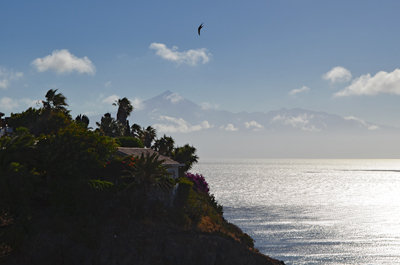 And, whatever anyone tells you, the north and south of Tenerife are very different. That’s in a positive way, not a negative one. 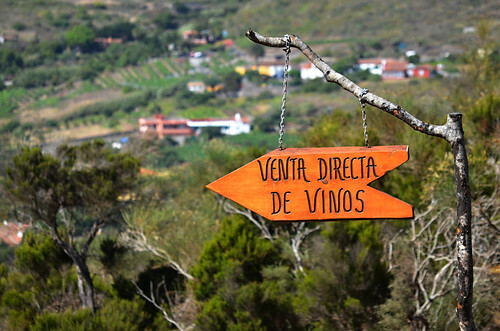 Inntravel already had a popular Tenerife holiday based in the north, but we always felt it was missing some of the best ingredients the north has to offer. In between other projects we’ve been working on this other new Tenerife holiday. 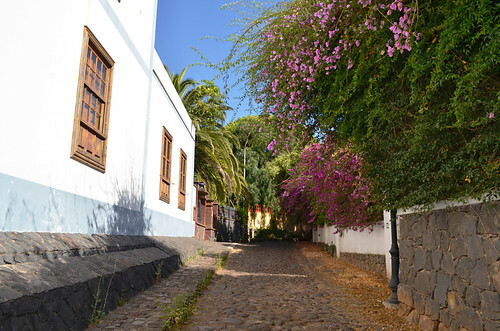 About a week ago we completed the notes for the final walking route for Timeless Tenerife; a journey through lush landscapes and colonial towns. That walk was in sweltering 30C plus heat around hills overlooking Tegueste that, despite it being high summer, were still green and full of flowers in bloom. 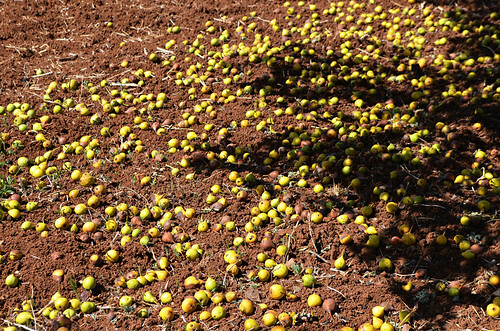 The area is so perfect for farming, produce is bountiful to the point small mountains of various ‘common’ fruits lay rotting on the ground. Timeless Tenerife is very different from the itinerant walking route in the south. Whereas that is purely for walkers, the northern version includes driving routes and town walks as well, so has a wider attraction. 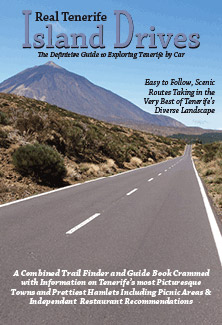 Like the ‘To the Top of Spain’ it was a lot of fun to create ‘Timeless Tenerife’. One of the highlights being the opportunity to introduce Inntravel’s regional manager for Spain, James, to the Anaga area. 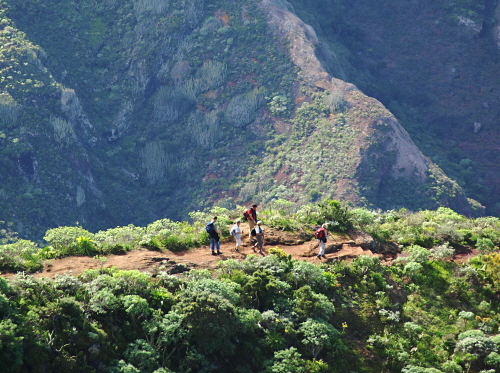 On a March morning, where rivers were running across the roads in some places thanks to an overnight deluge, we drove to Anaga fearing the it wasn’t going to show us its best face. The start to our route was in thick cloud as we made our way through the dense forest. 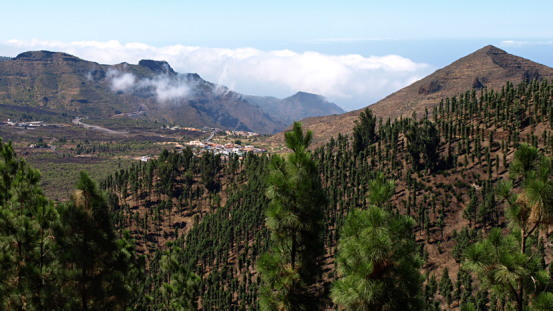 But, with almost perfect timing, the cloud dissipated as we emerged from the forest for our first proper view of this most incredible part of Tenerife. The Anagas know how to do drama well and the scene which revealed itself before us brought a huge smile to James’ face. It was a WOW moment. 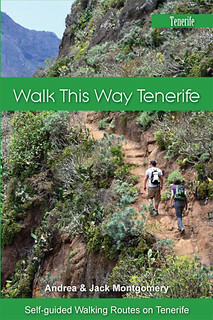 In a way Timeless Tenerife follows the journey many Victorian travellers would have made; travelling from the north east towards the Orotava Valley, taking in La Laguna, forests, La Orotava, dramatic coastlines, quirks, interesting places, traditional restaurants, two super hotels that are very different etc. But this journey continues onwards, to the opposite end of the island and the hills above the north west coast, enjoying Garachico on the way. What makes us particularly proud of both these two journeys is that I’ve just read a press release about a TV travel guide about to be screened in Britain. 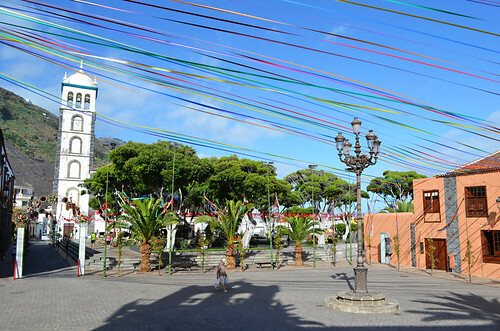 Like most TV programmes about Tenerife, it’s going to portray a face of Tenerife that doesn’t do it any favours. 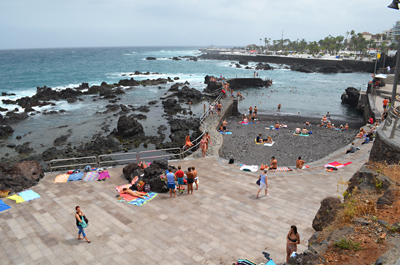 These programmes focus on one tiny area, whereas Timeless Tenerife and To the Top of Spain combined cover a huge part of the island. 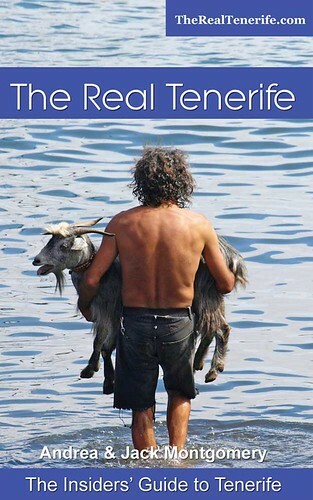 I’m proud to be part of something of quality and integrity that shows what most of Tenerife is really all about.